The GP Patient Survey is an independent survey ran on behalf of NHS England and designed to give patients the opportunity to feed back on their experiences in their GP Practice. You can view the survey results for Norton Brook here. We have recently updated our website with an extensive library of Health & Care Videos, designed to help guide you through a wide variety of health matters. Find advice on managing chronic illnesses (for example correct inhaler techniques), healthy living (such as information on diet, blood pressure and stopping smoking) as well as videos showing what to expect when having certain investigations and procedures. Another addition to our website this month is the Your Referrals page which links to MyHealth Devon and features detailed information on what you can expect to happen when your doctor refers you for specialist treatment. You can also visit our Self Help page to gain insight on a whole range of common ailments which can be self-managed. 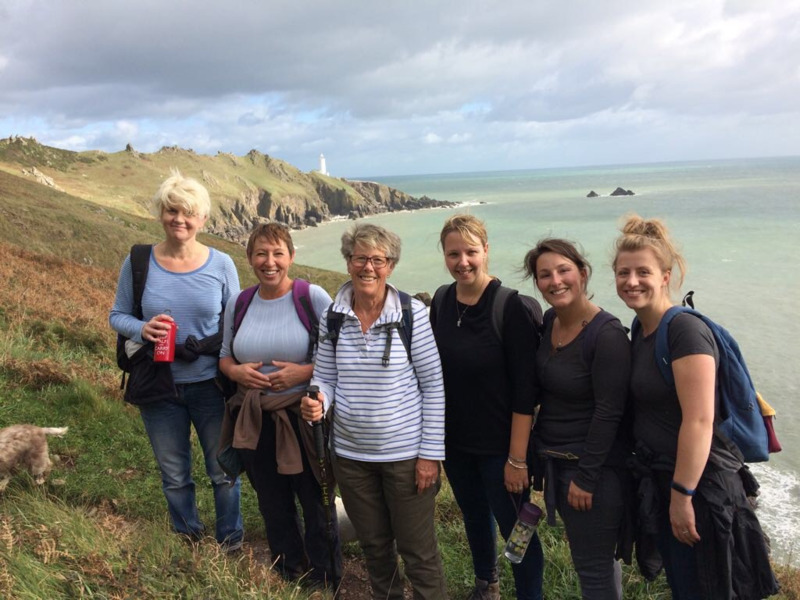 7 Members of the team braved the blustery weather to walk 13 miles to raise money "The Friends of Norton Brook Medical Centre". We wanted to acknowledge all the hard-work the volunteers do to ensure that the patients of Norton Brook are able to get to not only their appointments at the practice, but South Hams Hospital, Opticians and Dentists. We are aiming to raise £300.00 to help this service to continue. The 13 mile coast walk started at Gara Rock and finished at Slapton was a beautiful spot for such a challenge. We would like to thank the Tower Inn and their staff for feeding us a the finish, it was much needed! We offer face-to-face (F2F) and telephone appointments for you to book on-line. Extended hours F2F appointments are at the practice between 07.30-08.00 and 18.30-19.30 which gives patients the option of booking outside of normal practice opening hours. We also offer F2F appointment during normal working hours with a GP at a time and date to suit you. On-line Telephone appointment are offered during normal practice hours at a time and date to suit you. Please note that the time of the appointment is approximate. For example if you book an appointment at 08.45 you will receive a call back within 2 hours, so between 08.45-10.45. When booking a telephone appointment please ensure that you leave a contact telephone number where you see the option "Reason-optional"
It is also helpful for you to detail the reason for your F2F or telephone appointment, this allows GP's to prepare before contact with you to make sure you receive the most appropriate care at the right time. Many things such as test results and discussion of letters can be dealt with over the phone. Please help by making the right appointment choice to ensure those needed a F2F have the option. On Friday 18th May Dr Mottram and friend Will Turner set off to run the length of Devon to raise the profile of a new local organisation based in Kingsbridge. Running from north to south Devon, the pair completed over 100 miles across 2 days in aid of South Hams Area Wellbeing (SHAW). SHAW is a not for profit organisation which aims to help enable and educate local individuals to be resilient in their own wellbeing. It is about connecting local people of all generations with each other and with organisations, practitioners and agencies that can support and facilitate that resilience with the main aims of improving lifestyle, knowledge, happiness and health. To find out more about SHAW and to make a donation please head to the SHAW Just Giving page.